This is not a newborn! Male elephants are called bulls and females are called cows. After mating, the cow will be pregnant for around 22 months. 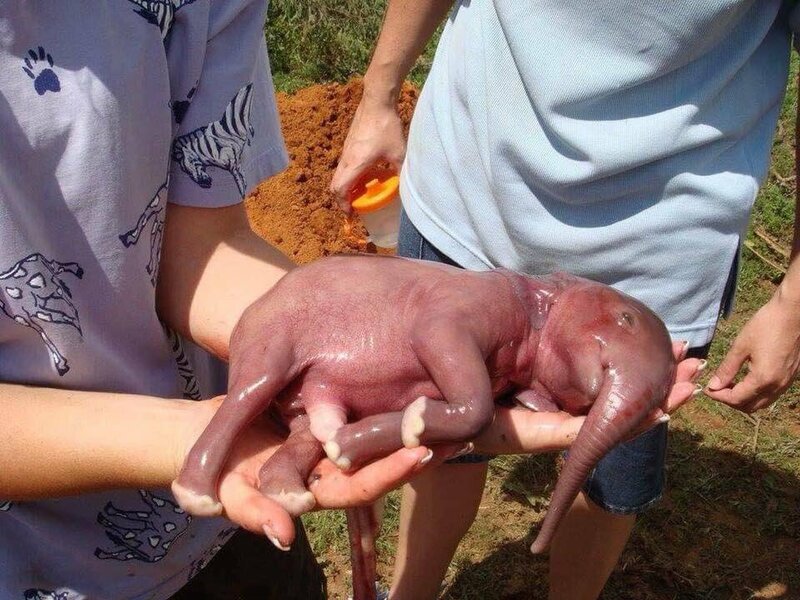 When the baby elephant is finally born, it can weigh around 200 lbs. (91 kg) and stand about 3 feet (1 m) tall. A baby elephant is called a calf. As the calf grows, it will gain 2 to 3 lbs. every day until its first birthday. By the time they are 2 or 3 years old, calves are ready to be weaned. Male calves will wander off on their own, while females will stay with their mothers. When they are 13 to 20 years old, they will be mature enough to have their own young. Elephants live 30 to 50 years in the wild.